The Sinai Quick Stop Pharmacy will be an integral part of the growing Long Term Care Pharmacy Industry by always looking to the future for new and innovative ways to improve and by focusing our efforts on bringing top-tier service and genuine care to all of our clients. 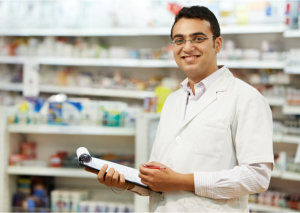 Sinai Quick Stop Pharmacy serves Patterson, New Jersey. We are a privately-owned and independently-operated pharmacy service center established by professionals and licensed by the NJ state to delivery our mission of quality care. We consistently seek to advance our program portfolio in order to serve you and your loved ones better. Once you visit us, you will be greeted warmly with a staff who will promptly attend to your intent and quickly respond to them so you wouldn’t have to wait long for your concerns and orders to be attended. Prescription refills and transfers are processed in as fast as 5-10 minutes. In the brief moment you have done your business with us, you get utmost quality that is oriented to your need for timely assistance. We are an equal-opportunity employer and provider. We do not discriminate clients on the bases of race, religion, civil status, creed, medical condition, sexuality, or handicap. We serve everyone who deserves to get their share of quality care. Call on us for your pharmacy needs today. We are just a call away.